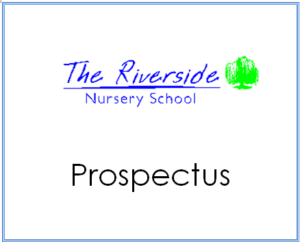 All the information you need about the Riverside Nursery School in one place. Download our Prospectus. The Riverside Nursery School is open during school term time and offers education and care for children from the age of 2 years to below school age. Up to 30 children can attend each session. The morning begins at 8.30am and the day ends at 4.00pm from Monday to Thursday and is open until 12.30 on Friday. Please ask about the flexibility available for start and finish times. We can offer hours that cover the morning, afternoon and ‘all day’. 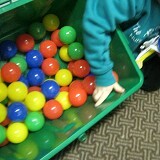 We do however request that each child attends for a minimum session time of 3 hours. Morning sessions can be extended to include ‘lunch’ between 12 and 12.30 / 1.00 pm. Children bring their own packed lunch. From the term following a child’s third birthday they are entitled to free early years education (EYE) for up to 15 hours per week, (maximum 570 hours per birthday year) term time only. Additional time is charged at £6.00 per hour. Please see our prospectus or call us for more information on early years funding. Eligible working families will be entitled to a further 15 hours free childcare making a total of 1,140 hours per year. You can check whether you are eligible through the Childcare Choices website. Subject to availability, we offer places from the age of 2 years. You may be eligible to receive 15 hours of free childcare for your 2 year old from the term following their 2nd birthday. You can check whether you are eligible through the Childcare Choices website. For children who are not in receipt of early years funding there is a minimum session time of 3 hours @ £6.00 per hour – £18.00. The Application Form is here for your convenience although we recommend you telephone to check availability and to arrange a visit. Completion of this form does not guarantee a place. We constantly review our policies and procedures and aim to update this site at regular intervals. The printed copy is always up to date and is held at the Riverside Nursery School. 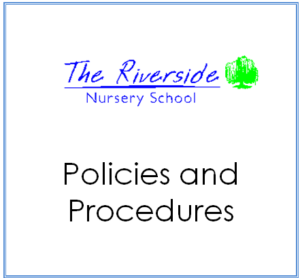 You can download individual Policies and Procedures by clicking on the image. Of course if you would like to discuss any part of our provision please feel free to call us on 01962 890 892 or click here to e-mail us.